This is a fresh restoration on Ebay and is fully restored. The speed coil was rewound and It works perfectly on all three speeds and oscillates. After the restoration I used it overnight several times and It worked great with no issues. The fan will be dismantled and packed securely in separate boxes. THE BIDDING STARTS AT $350.00 PLUS SHIPPING ON EBAY. The pin stripes and green felt are nice touches. Very pretty fan. David Kilnapp wrote: The pin stripes and green felt are nice touches. Pin stripes are original to almost all R&M fans through 1930 I think and, maybe because the factory did the striping, the fans look great with them. Nice looking R&M Nathan. You have time to edit the description if you want. 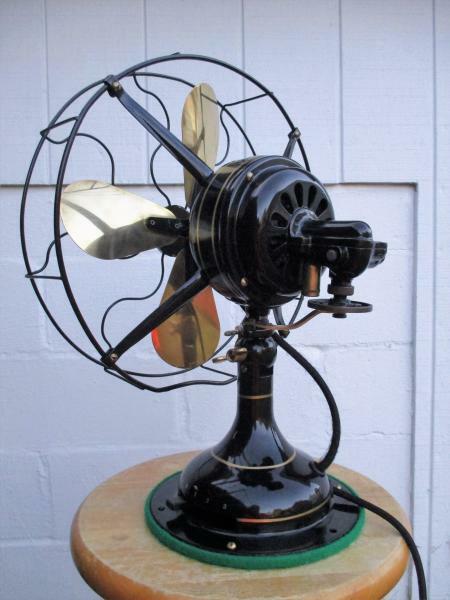 Your fan is no earlier than 1919 (wrapped steel cages before that date) and no later than 1925 when the new oscillator disc was introduced. Thanks for the input! I just revised it. Nathan , who rewound the speed coil ? Was this a dual coil speed coil? A phase shift and a speed choke? Did the speed windings get laid down 1st then the phase shift to the start windings on top of them ?? 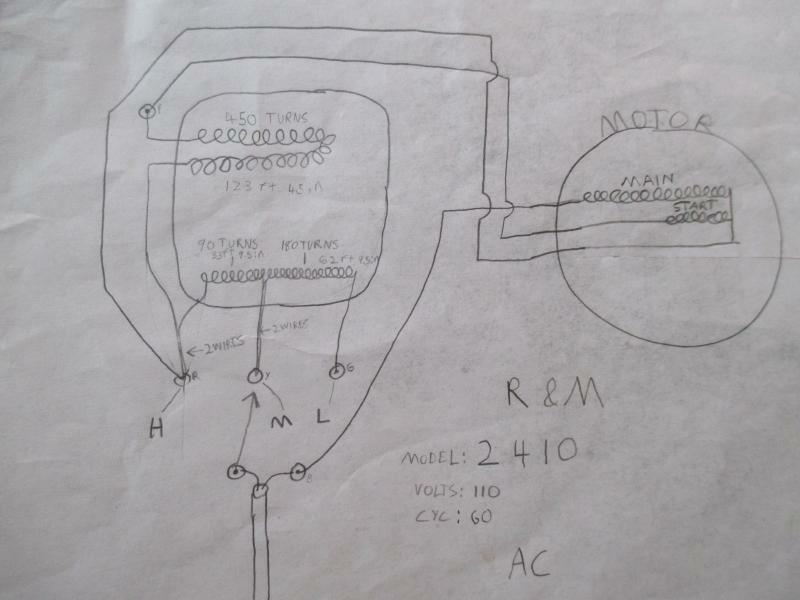 great diagram and good luck on your auction. These fans are way underappreciated for the quality built into them. Hope a website guru will archive your work for future reference. I wound the phase shift coil first and the start windings. SOLD Thanks for all the support! Page processed in 0.1547 seconds (10% database + 90% PHP). 28 queries executed.